The easiest way to enable Remote Desktop RD on the Windows OS family is to use the GUI. 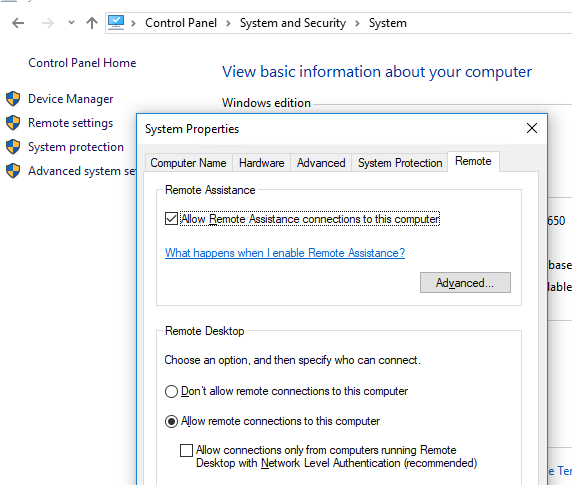 To do this, you need to open the “System” Control Panel item, go to the “Remote Settings” tab and enable the “Allow remote connections to this computer” option in the Remote Desktop section. However, this requires local access to the computer on which you want to enable RD. You can usually ask user for this (need administrator privileges), or local technical support. However, what to do if there is no one in the remote office who could enable the Remote Desktop locally? By default, remote desktop is disabled in both desktop versions of Windows and in Windows Server. Windows Firewall must be disabled or the rules that allow remote access through PowerShell Remoting should be enabled. This means that RDP on the remote host is enabled and you can establish a remote desktop connection using mstsc client. Note. By default, only members of the local Administrators group can connect via the RDP remotely. To allow RDP connections for common users, just add them to the local Remote Desktop Users group. How to Enable Remote Desktop over WMI? 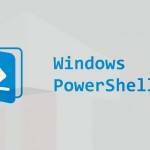 If you want to enable RDP on a remote computer where WInRM is disabled (for example, on a regular computer with Windows 10), you can use WMI PowerShell command.